Our new Winnebago motorhomes are inspected and tested for smooth, trouble-free operation of all chassis and coach components. We invest in an extensive preventive maintenance program on our rental fleet of Winnebago and Thor motorhomes. We invest in quality employees and in their training and education. We strive to establish positive warranty status relationships with our vendors. Great Alaskan Holidays is the only motorhome dealership and rental company in Alaska that has earned and been awarded the prestigious status of a Ford® Fleet Warranty Station. There are only two other Ford® Fleet Warranty Stations in all of Alaska*. Additionally, we are also authorized Onan® and Winnebago® warranty stations. How does this benefit you? It benefits you in several ways. Being Ford, Winnebago, and Onan authorized warranty stations places all of your service and maintenance needs for your motorhome in one location rather than three. This means you don’t have to make a separate trip to the Onan dealer, and then a separate trip to the Ford dealer, and then a separate trip to the Winnebago dealer. In the end, it means that you will save a great deal of time and money through this unique relationship we have with the manufacturers. 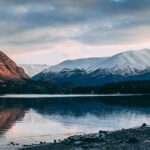 How difficult is it to get an appointment with a service facility as complete as Great Alaskan Holidays? It’s not difficult at all because Great Alaskan Holidays, means fast, friendly, professional attention to your motorhome, and peace of mind for you. Our Ford trained technicians have free access to current Ford Factory Training. They are on-line and up to date with the latest technical information from Ford, Winnebago, and Onan. This advantage often allows Great Alaskan Holidays’ Service Department to stop problems before they start. Our Service Department draws on the largest in-house stock of parts and accessories in Alaska. No one provides greater service than Great Alaskan Holidays. *The other two non-dealer companies in Alaska that have been awarded and maintained the prestigious status of ‘Ford Warranty Station’ are; a major oilfield service company on the North Slope, and the largest supplier of electricity in Alaska.